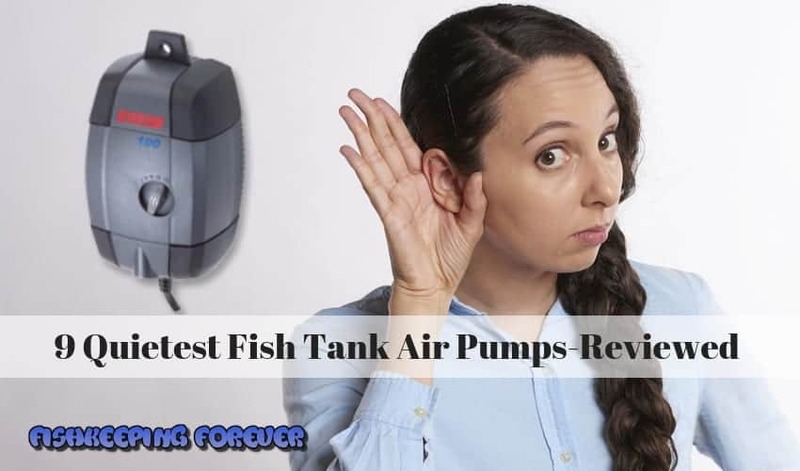 9 Quietest Fish Tank Air Pumps - We reviewed the best! 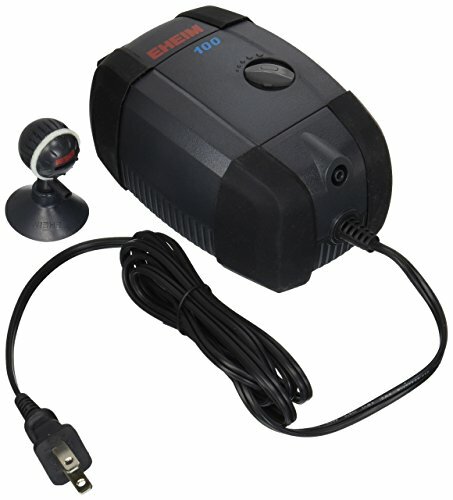 Blog 9 Quietest Fish Tank Air Pumps - We reviewed the best! 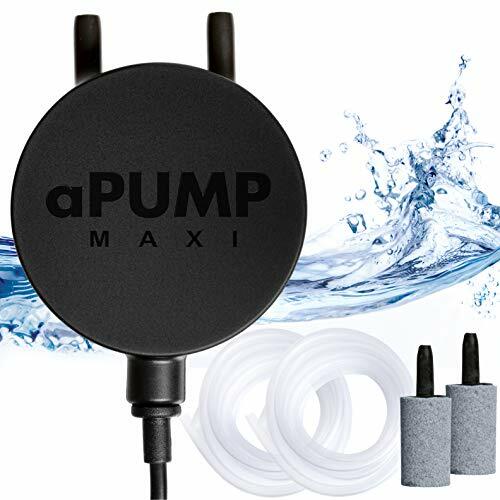 9 Quietest Fish Tank Air Pumps – We reviewed the best! The majority of beginners guides to setting up an aquarium will not include the humble air pump. This is because they are not actually an essential piece of equipment needed to run a successful fish tank. Read on, however, and you will see why they are something that you should consider using one of the quietest air pumps you can find. Fish need to breathe, a simple but true fact and that they need the water in their aquariums to be oxygenated to do this. The reason many fish tanks don’t have an air pump is that the filters help with this due to the movement of the water they create which oxygenates the water without the need of an air pump. However, you really cannot have too much oxygenation, in fact, the more the merrier your fish will be, and this is where an air pump comes in. These, handy little pieces of equipment oxygenate. The general train of thought is that by creating bubbles in your aquarium the air pump oxygenates the water. This, perhaps surprisingly, is not the case. 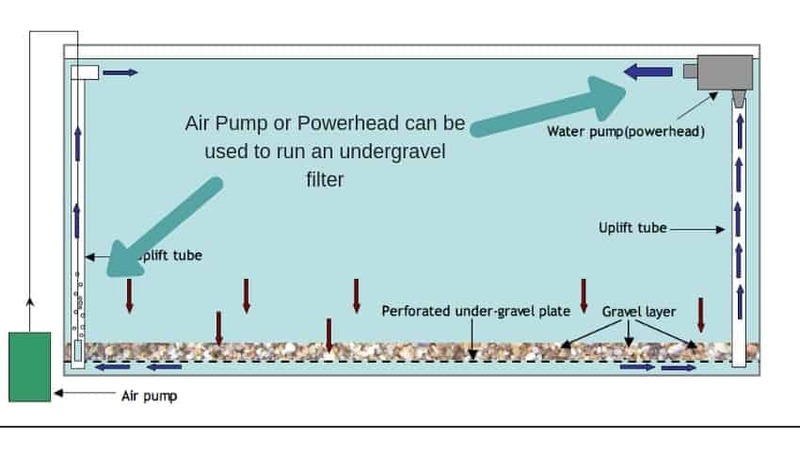 Air pumps work by causing the surface area water to move, creating more contact with the air. And the more contact the air has with the water the more it will become oxygenated. 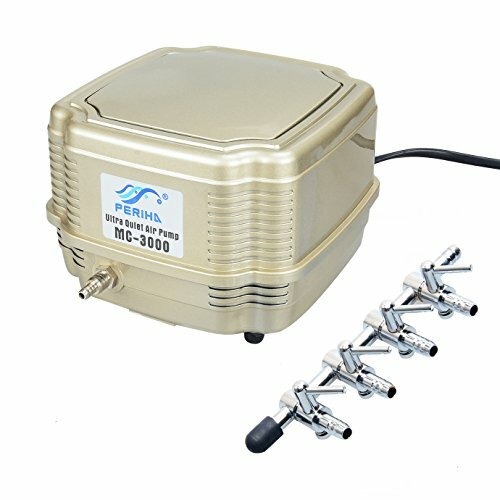 Whats the 9 quietest air pumps for fish tanks? 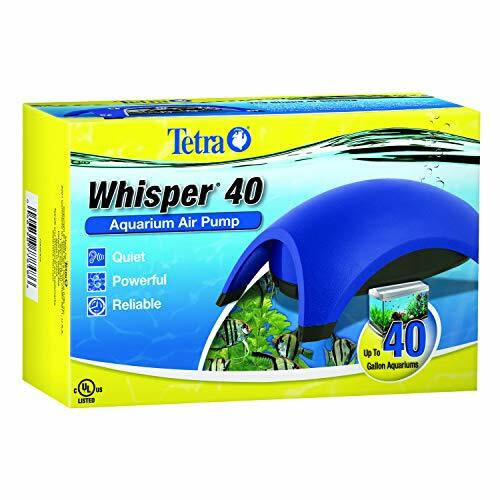 We will go into more detail shortly as to what makes these quiet air pumps better than the rest and worth a look if you’re thinking of setting up a small fish tank. There are two ways in which you can use the air pump within your aquarium but both work on the same principle. The air pump is plugged into the electricity and a tube attached that goes into the water. From here the choice is yours, you can simply attach an air stone to the tubing and bury it into the substrate or attach a specially made ornament. Air stones come in various sizes from around a centimeter to many inches in length. They allow you to either have one concentrated area of bubbling, or a curtain of bubbles which could stretch right across your aquarium. The more spread out the bubbles are, the better the water movement will be that is created. Tip: adding a colored light strip to a curtain of bubbles can make them look incredibly impressive and dramatic. However, it would be prudent to note that not all fish enjoy the bubbles in your fish tank created by air stones so for them a small concentrated area is better. For those fish that do enjoy them, and you’ll know if they do as they will swim through them like crazy, knock yourself out, and bubble away to your heart’s content. Air pump ornaments work on the basis of the force of the bubbles or the bubbles themselves creating a certain look. The most popular air pump ornaments are generally ones such as clams, treasure chests, and other items that open. They work by having an opening and closing valve allowing water through and then stopping it alternatively to create the open and close feature. Other fish tank ornamentals you can create include waterfalls and volcanoes. The volcanoes, for example, shoot bubbles from their core making them look like they are erupting. The waterfalls are generally a little more elaborate, generally requiring two air pumps and sand to create the illusion of water falling down the rocks. One of the most popular ways to filter a small fish tank is an undergravel filter, these are sheets of plastic with holes all across the base. 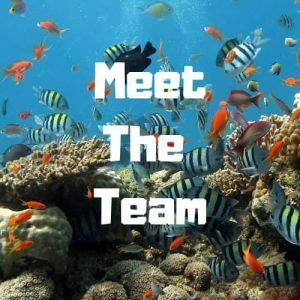 They have a tube at one end and often both ends depending on the size of the aquarium where you place your air stone attached to one of the quietest air pump you can find. The bubble rise up the tube and cause a vacuum and pressure which pulls the water and dirt down through the gravel. The dirt is then trapped and is broken down biologically over time. A simple but very effective way to clean a small fish tank and one of the best and most natural ways to filter a small fish tank. Remember, no matter what filter or air pump you use, you will always need to carry out regular water changes to remove harmful nitrates and phosphates which build up over time. ♥ SUPER SILENT - Our air pump is just driven by a thin piezoelectric ceramic plate, totally different from traditional electromagnetic air pump, No EMI, No motor, No shaft, No other troublesome mechanisms, which makes it super compact, super quiet, light weight and long service life. ♥ LOW POWER CONSUMPTION - Power consumption of this oxygen pump is only 1.0W, with flow rate 240 ml/min, high energy saving. 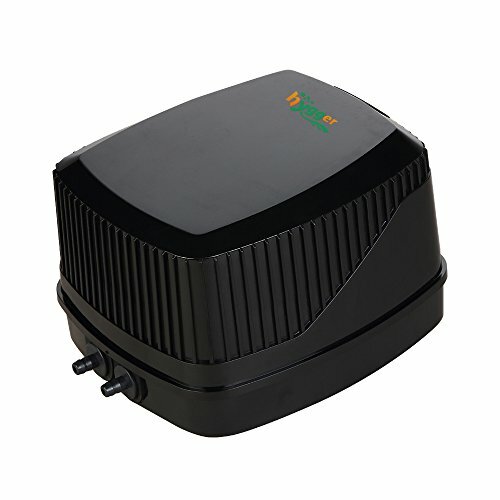 ♥ STABLE PERFORMANCE - Oxygen air pump is stable performance, is ideal for small and medium-sized fish tank plus oxygen. It is also perfectly suitable for using at all kinds of high-grade aquarium, aquaculture oxygenation or spout decoration. 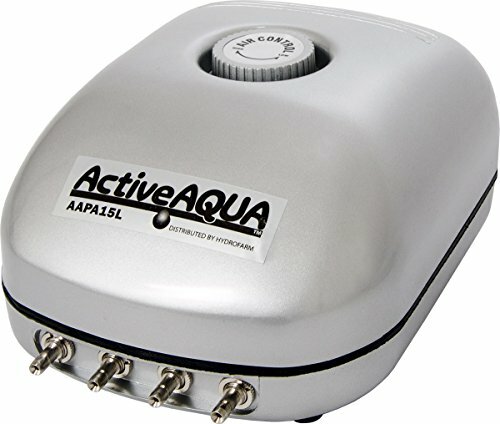 ♥ HIGH-EFFICIENCY AIR STONE - This air pump can add enough oxygen in a fish tank up to 13 gal, with long service life. With a good air stone, puts off a nice spread of bubbles at a pretty good pace, which will makes your fish, betta or shrimp love it. ♥ PRACTICAL DESIGN WITH SUCTION CUP - Aquarium air pump is small, light weight and portable. 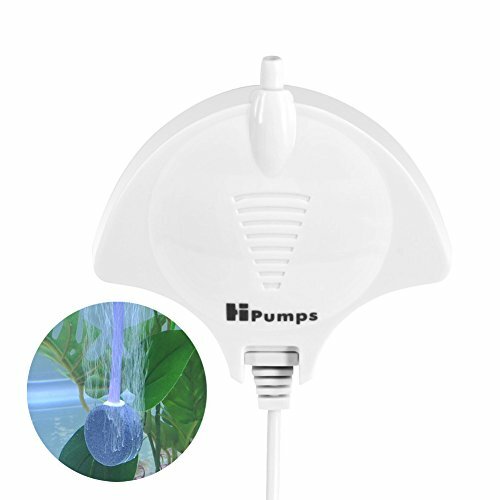 What is more, the pump comes with suction cup so it may be suctioned to your bowl or tank, takes up hardly any space. A great mother's day gift. 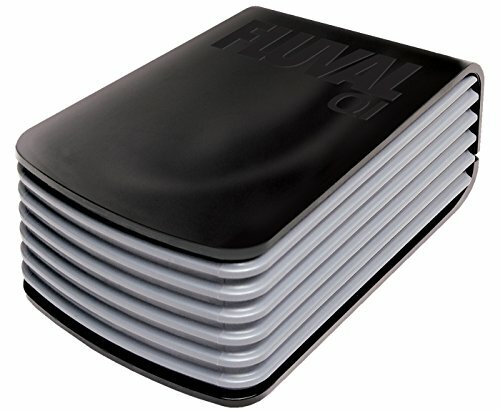 POWERFUL: Unique Electromagnetic Technology promotes efficiency, up to 16 L/Min output, 8 W, Pressure: 3.2 psi / 0.022 MPa. SUPER MUTE: Advanced sound insulation technology allows < 40 dB operation sound, which sounds like Quiet Whisper at room. SUPERIOR DESIGN: air flow rate is adjustable with the High / Low Mode Button, rubber pump legs position the pump well, stainless steel air outlet fits for both 5/16" and 3/16" Inside Diameter airline tube. 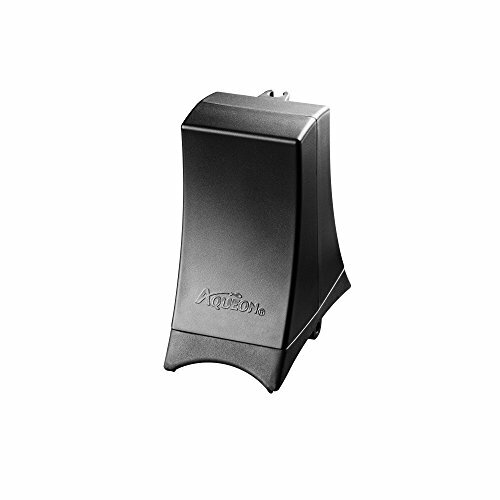 DURABILITY: High quality Sturdy Shell, synthetic rubber diaphragms ensures longer operation life and steady flow with minimal vibration. GOOD CHOICE: MC-3000 is suitable for less than 40" fresh water and marine water Aquariums / Ponds, Up to 500 gallons, Comes with 20" tube and 4 outlet divider that can be individually opened or shut; Perfect to run several water farms or multiple air stones at once. Conclusion: 9 Quietest fish tank air pumps. As responsible pet owners, we are obligated to give our fish the best possible conditions to live in. We also need to be able to enjoy our fish tanks without the noise of an air pump driving us mad all night. So by buying one of the quietest air pumps on the market you’re not only providing a better environment for your fish to live in but you’re also getting a better fishkeeping experience. Another thing you’ll need if you’re planning to keep tropical fish is an aquarium heater with built-in thermostat to regular the water temperature. Read our full review of the best aquarium heaters. Fish tanks children’s bedroom have become very popular over the past few years. They offer a wide range of benefits like teaching your child to care for living creatures, responsibility, and they also have a calming effect helping your child to sleep better. However, if the air pump is noisy it can have the reverse effect so ensure you buy a quiet air pump like one of the ones above. If you’re looking for a great first starter fish tank you can go wrong with the Marineland Portrait Glass LED Aquarium. This perfect starter fish tank has all the lights and filters built in and makes a great 5 Gallon starter fish tank perfect for Children’s bedrooms. My son has one and loves it!